What's my Castle Hills home worth? Many are buzzing about Castle Hills majestic 2,600 acre master-planned golf course community developed by Bright Realty and located just 25 miles from Dallas, Texas between Carrollton, Lewisville, The Colony, Plano and Frisco, near Dallas North Tollway, 121 Sam Rayburn Tollway, I35 and George Bush Tollway. Bordering streets are Old Denton Road, Hebron Parkway, Josey Lane, between Parker Road/544 and 121 Sam Rayburn Tollway. 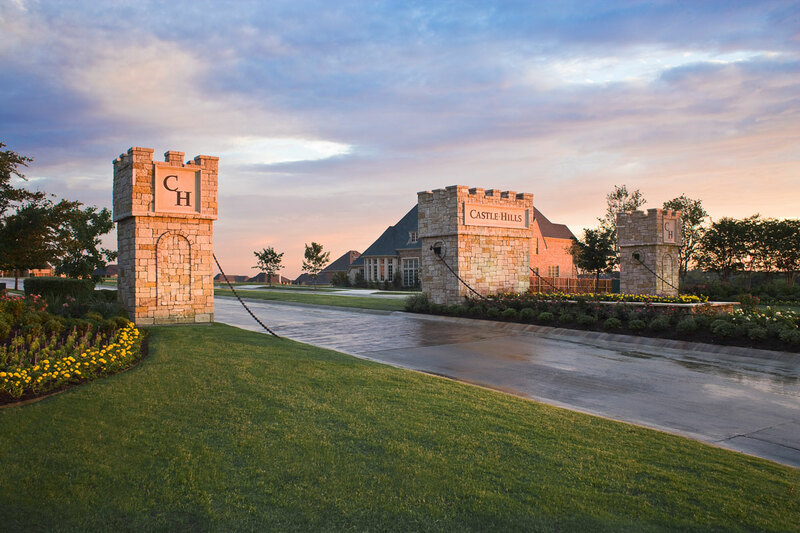 Castle Hills has easy access to DFW International Airport and is within a few miles of major corporations flocking to North Texas leaving hundreds of employees looking to purchase Castle Hills homes for sale. Even the Dallas Cowboys are building a new training facility in Frisco, all within minutes of this wonderful development in the Castle Hills Village Shops and Plaza where Renee Mears Realtors calls home. 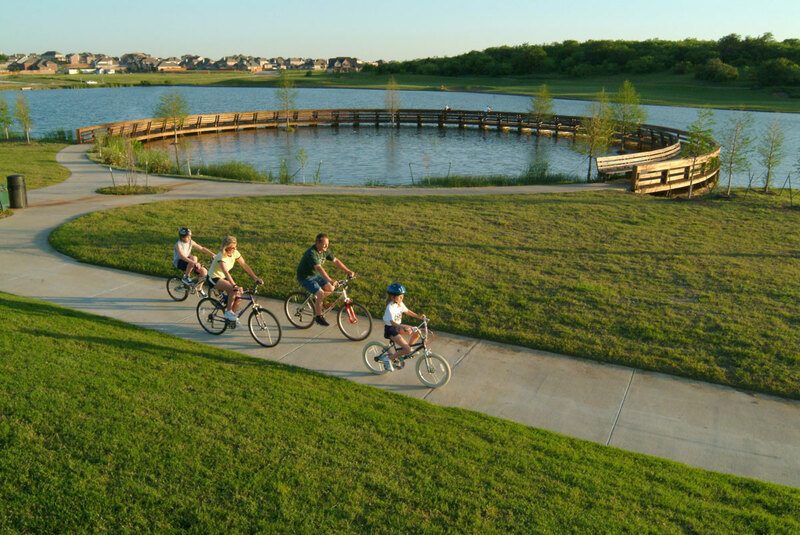 In addition to ideal location, Castle Hills residents enjoy a rich array of amenities to ensure a lifestyle that gets people out of their homes and into the community. So if you want to take a stroll with a friend, keep the kids entertained or just relax with a good book and watch a family of ducks cross the lake, you can. In recent news, Bright Realty announced the purchase of Singer Ranch, adding more Castle Hills homes for sale to the already 2,600 acres of the scenic neighborhood. 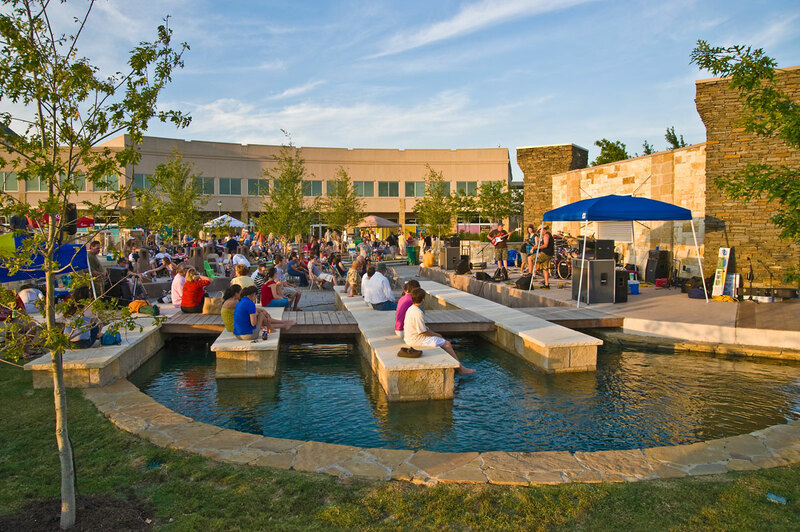 Warren Buffett’s mixed-use development, Grandscape, is within minutes of Castle Hills. Grandscape is home to The Nebraska Furniture Mart, retail and restaurants. Developer Jim Duggan is working on the first 24-story, 90-unit Windrose Tower high-rise condominium project in Legacy West of Plano at Dallas North Tollway and State Highway 121. Developers for this luxury housing project report more than half of the condos have been reserved with buyers. Next door is the campus under construction for Liberty Mutual Insurance and just blocks away, Toyota Motor is building its new North American headquarters. FedEx office has also moved to the area. Information about Castle Hills homes for sale and Castle Hills real estate can be found at our office in The Village Shops (show in the photo above). Click on the tab above to find out the value of your Castle Hills home. When looking to buy a home in Castle Hills or sell a home in Castle Hills, it is always best to use an experienced Castle Hills REALTOR®. Castle Hills homes for sale options include new homes, preowned homes, town homes, single family homes, lake front town homes, lake front single family homes, apartment homes, golfcourse custom homes, golf villas, 24 playgrounds/parks, six community pools, amenity center,splash park, basketball courts, a community garden, sports fields, catch-and-release fishing, Castle Hills schools foundation, community events. New home builders past and present building custom homes, semi-custom homes and traditional homes are American Legend Homes, David Weekly Homes, Lanstar Homes, Darling Homes, Huntington Homes, Highland Homes. Future developments currently in progress are Discovery, The Realm and Crown Centre. Castle Hills is served by Lewisville ISD. The neighborhood schools are Hebron or The Colony High, Killian or Griffin Middle, Castle Hills Elementary, Independence or Morningside Elementary. Click on the tabs above for neighborhood specific: area info, school info, demographics, neighborhood maps, recent sales & home values. If your interested in Castle Hills homes for sale, call Renee Mears at 972-489-0828. How much is my Castle Hills home worth? Castle Hills’ Enchanted Hill is a one-of-a-kind community with lush landscaping, trails, lakes, a formal garden, a labyrinth, a koi pond, gathering spots for family fun and celebrations, has golf course lots, located in the guard-gated Enchanted Hill Estates, your own private kingdom with room for just enough exquisite castles. The golf course, The Lakes at Castle Hills, is a private club, just completing a four-year renovation that began in May 2011 with bermuda grass, Arkansas quartz sand, multiple lakes, water features, four tennis courts, a resort-style aquatic center with locker rooms, spa facility, kids club, dining rooms and kitchen facilities. The Lakes Castle Hills has Golf Villa homes surrounded by a first-class facility important to residents and member’s quality of life and satisfaction with their residence in Castle Hills. The Retreat at Castle Hills is a gated community with a private entrance, home to North Dallas Luxury Villas with spacious designs perfect for entertaining and a lock and leave luxury lifestyle, a private park with fireplace, tennis court and within walking distance to the Village Shops and Plaza for groceries, dining at Pie 3.14 Everyday Eatery, Kanzi Sushi & Hibachi, Escape Coffee & Donuts, Froyo Smoo-Licous, and shops to include Taekwando America, an orthodontist, dry cleaners, postal center and more. Across the street from The Lakes at Castle Hills, consider The Reserve, a gated neighborhood where your front yard is maintained. Within the gates of the low-maintenance neighborhood is a private pool and fitness facility, an exclusive jogging trail, lake and fountain. The garden homes are comfy and carefree, it’s perfect for pick up and go at a moment’s notice. Megatel Homes' Winston plan features a 3 bedrooms plus a Study, formal dining and Large 2 story ceilings in family room. Large kitchen island as well as sit down breakfast area. Nice gray Granite tops, soft close cabinets, keyless entry and tankless hot water heater, smarty home systems by Clare including doorbell camera, Front porch lights, thermostats are just some of the perks to this home. Crescent Estates Custom Homes introduces sophisticated, new construction, 2 story townhomes at Windhaven Crossing! Well appointed designs and features throughout. Generous sized master bedroom, rare to find large secondary bedrooms. Fantastic location filled with shopping, dining and entertainment options nearby. Home is currently under construction. Estimated completion early 2019. ASK ABOUT INCENTIVES!!!!! Amazing opportunity located within a few miles from Frisco x2019;s Billion Dollar Mile! This custom-built townhouse is the ultimate in quality and craftsmanship, adjacent to green belt, best location in neighborhood! Energy efficient tank-less hot water heaters, Low E windows and radiant barrier. Granite counters, hardwood flooring and all high-end plumbing & lighting fixtures! Extremely low HOA dues. HOA dues cover all exterior maintenance, landscaping and insurance. Home has 8 years left on Builder warranty! xD; xA;Property is on Sam Rayburn Tollway (121) with easy access to all of DFW x2019;s major interstates and tollways! Crescent Estates Custom Homes introduces sophisticated, new construction, 2 story townhomes at Windhaven Crossing! Well appointed designs and features throughout. End unit, generous sized master bedroom with double walk in closets. Beautiful kitchen with large island. Fantastic location filled with shopping, dining and entertainment options nearby. xD; xA;Home is currently under construction. Estimated completion early 2019. xD; xA;INCENTIVES!!! INCENTIVES!! INCENTIVES!!! Crescent Estates Custom Homes introduces sophisticated, new construction, 2 story townhomes at Windhaven Crossing! Well appointed designs and features throughout. End unit, generous sized master bedroom with double walk in closets. Beautiful kitchen with large island. Fantastic location filled with shopping, dining and entertainment options nearby. Home is currently under construction. Estimated completion early 2019. xD; xA;INCENTIVES!!! INCENTIVES!!! INCENTIVES!!! Crescent Estates Custom Homes introduces sophisticated, new construction, 2 story townhomes at Windhaven Crossing! Well appointed designs and features throughout. End unit, generous sized master bedroom with double walk in closets, rare to find large secondary bedrooms. Beautiful kitchen with large island. Fantastic location filled with shopping, dining and entertainment options nearby. xD; xA;Home is currently under construction. Estimated completion early 2019. ASK ABOUT INCENTIVES!!!!! MUST SEE, STUNNING home in Castle Hills. Walk into a well designed, open living family room. Kitchen has white cabinets with gray accent, large granite island, backsplash, silgranit kitchen sink, SS appliances, cultured marble in master and guest bathrooms. Spacious upstairs include a sitting room and two bedrooms. The home contains its functionality with beauty and many features. Great resort style community with parks, pools, golf course, and much more.